Chinese President Xi Jinping’s special representative Yang Jiechi and Cameroonian President Paul Biya agreed on Friday to further boost bilateral cooperation. 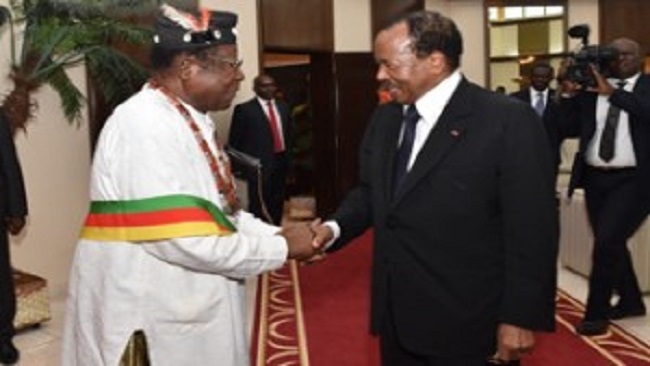 Biya said that Cameroon highly appreciates the Belt and Road Initiative, and supports the cooperation under the framework of the FOCAC. Cameroon is ready to work with China to implement the results of the Beijing Summit, and advance the bilateral relations to a new stage, said Biya. The country is willing to communicate and coordinate with China more closely in multilateral affairs, Biya added. During the visit, Yang also met with Cameroonian Prime Minister Joseph Dion Ngute and Foreign Minister Lejeune Mbella Mbella.